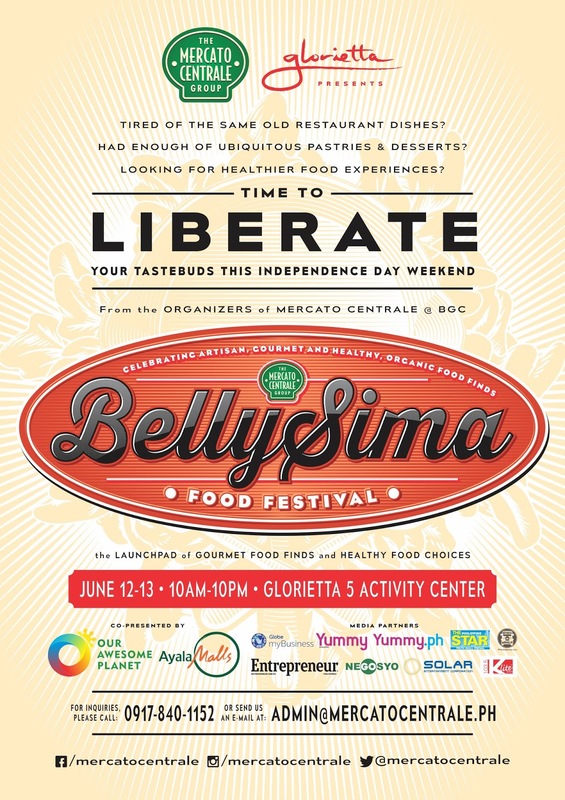 Mercato Centrale & Glorietta Presents: Bellysima! Food Festival 2015 on June 12 and 13 at the Glorietta 5 Atrium, Makati City! We're sending you on a food trip this Independence Day Weekend! From flavored flans to artisan sausages to edible cookie dough to carabao chicharon to twisted gelato flavors to chili-flavored coffee syrups to organic detox juices to chocolate-flavored surprises! And that’s just the tip of the taste buds. 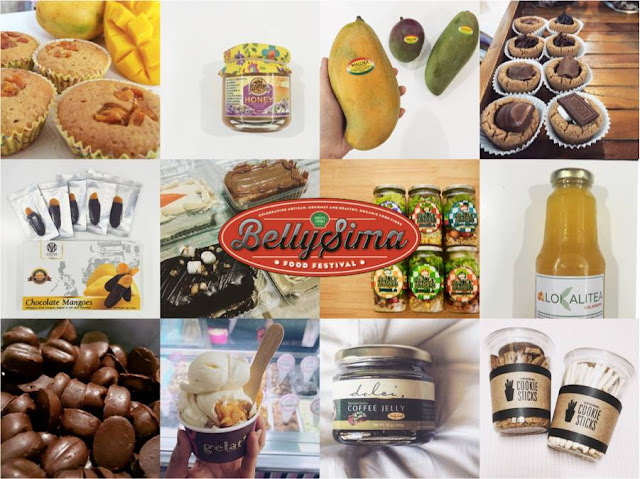 From the organizers of the popular night food market Mercato Centrale comes the BELLYSIMA! Food Festival 2015. It is a launch pad for passionate up-and-coming food entrepreneurs to share their artisanal food creations alongside healthy and organic food products with equally passionate food enthusiasts! Set your tummies free this June 12 and 13 at the Glorietta 5 Atrium and be one of the lucky 500 participants to taste and evaluate some of the most exciting gourmet, healthy, artisan and organic food creations from over 30 local vendors. Bring the whole family to enjoy heirloom recipes, regional delicacies, innovative pastries and desserts, experimental dishes, organic and all-natural healthy food alternatives, and more! Note: Remember to wear adjustable waistbands because you’re going on a revolutionary food trip! Artisan sausages, chorizos, vegetable preserves, salad dressings, etc. The BELLYSIMA! Food Festival is brought to you by Mercato Centrale in partnership with Glorietta and is co-presented by OurAwesomePlanet.com and Ayala Malls, together with our media partners The Philippine Star, Entrepreneur Magazine, Yummy Magazine, GoNegosyo, WhenInManila.com, Solar Entertainment, 103.5 KLite and Globe My Business.